These Washington DC and patriotic gifts and souvenirs are the most sought after of our entire collection. Featured items do rotate from this category based on demand so please search the rest of our gift shop categories if you do not find your item here. 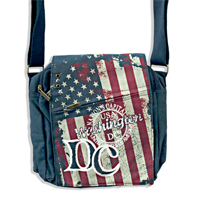 Looking for a great Washington DC souvenir to remember your trip to the Nation's Capitol? This statue is a replica of the Lincoln statue contained within the Lincoln Memorial located at the west end of the National Mall in Washington, D.C. The statue is approximately 5 1/4" high. The Smithsonian National Zoo Panda Snow Globe features the Giant Pandas Tian Tian, Mei Xiang, and Bei Bei perched above the White House. Ronald Reagan pledged to restore "the great, confident roar of American progress." By the end of his second term, his determination to lessen government economic regulation, cut taxes, decrease federal funding to social services, and strengthen the country's military had made his pledge a reality. Washington DC American Flag Paperweight features a complete three dimensional laser engraving replies of the White House (showing the North and South Portico), the Capitol Building and the Washington Monument with US flag engraved and painted on rear portion of the weight. Our seven inch tall solid poly-resin Bobblehead, has President Obama wearing a navy blue suit and a sky-blue tie waving to his supporters with his right hand. Show your support for the Republican Party with this adorable stuffed elephant toy. This stuffed toy is the perfect gift for any child or supporter of the Republican Party and stands at eleven inches. Collectors will love this four color enhanced half dollars of the White House, Washington Monument, Lincoln Memorial, and U.S. Capitol Building. This commemorative set comes with a Certificate Of Authenticity in a wooden display case. We honor our Veterans with this limited edition $2 Bank Note. This genuine legal U.S. currency is beautifully decorated as a remembrance of our fallen heroes. The 2012 White House holiday ornament depicts the Presidential Helicopter on take-off from the South lawn of the White House and features the Presidential Emblem inset within the outline of the five-pointed Secret Service star. Show off your patriotic pride with this stylish Air Force One camouflage bag complete with the official Seal of the President of the United States adorned with eagle wings. 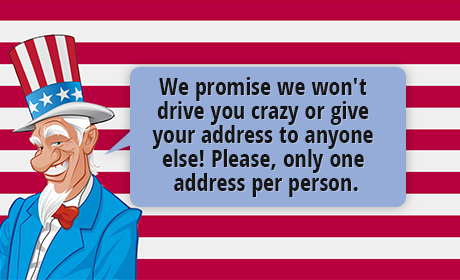 Be a part of the Presidential Crew and order yours today. Decked out in a stars and stripes theme, the "I Love DC" automatic Washington, DC patriotic gift umbrella is a great accessory to have when the weather turns awry or one needs parasol for sun protection. The official 2012 White House Christmas ornament features William Taft, the twenty-seventh President of United States, and his wife riding in the first automobile (White Motor Company's Model M) used to transport the First family. The first automobile was steam-powered and introduced to the White House in 1908. The front of the United In Memory Commemorative Coin shows the Pentagon, American Eagle, and the American Flag with the words, "United in Memory" and "September 11, 2001". The back of the coin shows an image of the American Flag being lowered over the side of the Pentagon. The pentagon-shaped coin has the six seals of the U.S. Military on it: In the center of the coin is the seal of the Department of Defense (formally known as "The War Department") and the five branches: Army, Navy, Air Force, Marines and the Coast Guard surround the seal. The Great Seal coin features the Great Seal of the United States on one side and the other side is The Pentagon. Officially issued on Monday, January 23, 2012, an uncirculated $1 USD Federal Reserve note (with a lucky repetition of numbers) and a $5 RNB (official currency of the People's Republic of China) have been placed in red envelope with a distinctive gold Dragon to honor the Chinese Lunar calendar and harmony between China and the United States. The 2012 American Gold Eagle coin is in mint, uncirculated condition and is guaranteed by the U.S. government to contain the stated amount of actual gold weight in troy ounces. The actual gold fraction is .9167 or (22 karat). It is authorized by the United States Congress and is backed by the United States Mint for weight and content. DC Gift Shop is pleased to offer the 1 oz 2012 American Silver Eagle in mint, uncirculated condition. Silver continues to be a great way to diversify one's wealth/portfolio or they make fantastic keepsake gifts, particularly to children. See all the beautiful places that represent this country's history, including the Library of Congress, the Lincoln Memorial and more. Take an aerial tour over our Nation's Capital and top off your visit with spectacular views of Washington, D.C. at night. We here at DC Gift Shop have created an ornament which celebrates American ingenuity and know-how. Our-first-in-a-series "Made in America" ornament is the result of many hours of design, and is manufactured to exacting specifications. If you know of anyone with an interest in aviation, this is a can not miss gift.This model measures 14.5 inches long, 12.5 inches wide, and 7.5 inches tall on the base. Comes with landing gear that can be snapped in. The Washington Monument in Washington, DC was built to commemorate the United States' "Founding Father" George A, Washington. The monument was constructed of American-quarried marble, granite, and sandstone. The architect was Robert Mills, a prominent American designer of the 1840s. A great way to show your support for the F.B.I. One Size fits all. Made out of 20% Wool and 80% Acrylic. You can own this rare poster created by Phyllis Saroff of Annapolis, Maryland featuring a Japanese Kite swirling around the Washington Monument painted in cherry blossoms. In a historic 1912 ceremony, the mayor of Tokyo presented 3,000 Japanese cherry trees to the United States as a sign of goodwill. This symbolic gesture launched a friendship that endures nearly a century later. Celebrate with a patriotic candy bouquet of your favorite American candies; Crunch, Skittles, 3 Musketeers, Baby Ruth, and 100 Grand candy bars, along with red white and blue tootsie rolls and hard candies.